Directed by Ethan Hawke,”BLAZE” stars newcomer Ben Dickey as Blaze Foley, the unsung songwriting legend of the Texas outlaw music movement whose unique artistic contributions gave rise to the likes of Merle Haggard and Willie Nelson and inspired both John Prine and Lucinda Williams. Loosely guided by the narrative of Foley cohort and co-conspirator, Townes Van Zandt, played by Bob Dylan band guitarist Charlie Sexton, the film weaves together three different periods of time, conflating Blaze’s past, present and future in a poignant exploration of his love affair with Sybil Rosen, played by Alia Shawkat. Featuring an ensemble cast of inspired performers, the film explores the uniquely American art of storytelling through renditions of the Blaze Foley songbook, and examines the impact of both his art and his untimely death on his fans, friends, and collaborators. Featuring new recordings of classic Blaze Foley compositions and including a stirring rendition of the Lucinda Williams-penned tribute to Blaze, “Drunken Angel,” performed by Alynda Segarra of Hurray for the Riff Raff, the “Blaze: Original Cast Recording” serves not only as a tribute to the power of Blaze’s writing, but a worthy homage to his spirit as evidenced by Ben Dickey’s contribution of the original song “Blaze & Sybil’s Lullaby,” composed by Dickey especially for the film and performed alongside co-star Alia Shawkat. Also included in the album’s running order are new versions of some of Foley’s best-known songs lovingly channeled by Dickey, including “Clay Pigeons,” “Picture Cards,” and “Big Cheeseburgers and Good French Fries,” as well as tunes by Blind Willie McTell, Roger Miller, and Townes Van Zandt. Rounding out the deluxe gatefold LP package are extensive liner notes, including an essay by writer/director Ethan Hawke and a conversation with Ben Dickey and Foley’s longtime companion and the film’s co-writer, Sybil Rosen. In an homage to Blaze’s roots in the Austin, TX music scene, that shaped the trajectory of American popular music, Ethan Hawke and Ben Dickey will be touring the state in support of the film and its soundtrack ahead of its wide release, by Sundance Selects on September 21st. 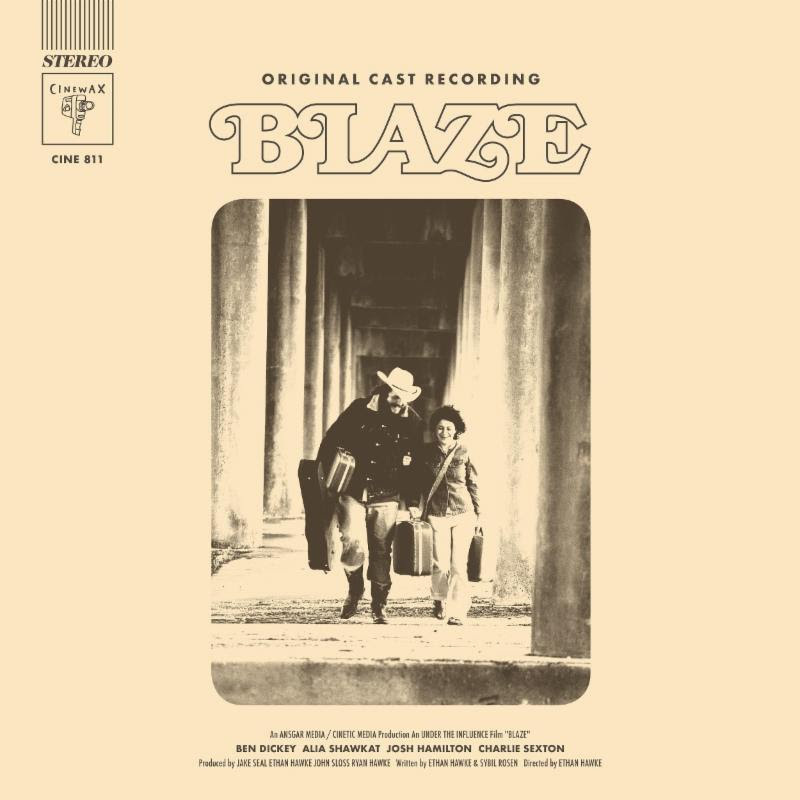 Click here to preorder “BLAZE: Original Cast Recording”. For more info, follow #BLAZEMovie on Twitter, Facebook and Instagram.